Stuart Parnell was born in Bebington on the Wirral in 1951 and studied fine art at Wirral Metropolitan College becoming a full time artist in 1987. He has taught art in adult education and now lives and works in mid-Wales. He has exhibited throughout the UK and his work can also be found in Europe, Australia and the USA. His work has been included in the Royal Institute of Painters in Watercolours at the Mall Gallery in London and the British Society of Painters in Yorkshire and the Museum of Modern Art in Wales. He has won many awards for his artwork over the years both on a local and national level. The Grosvenor Museum in Chester owns a piece of his work which is on permanent display. 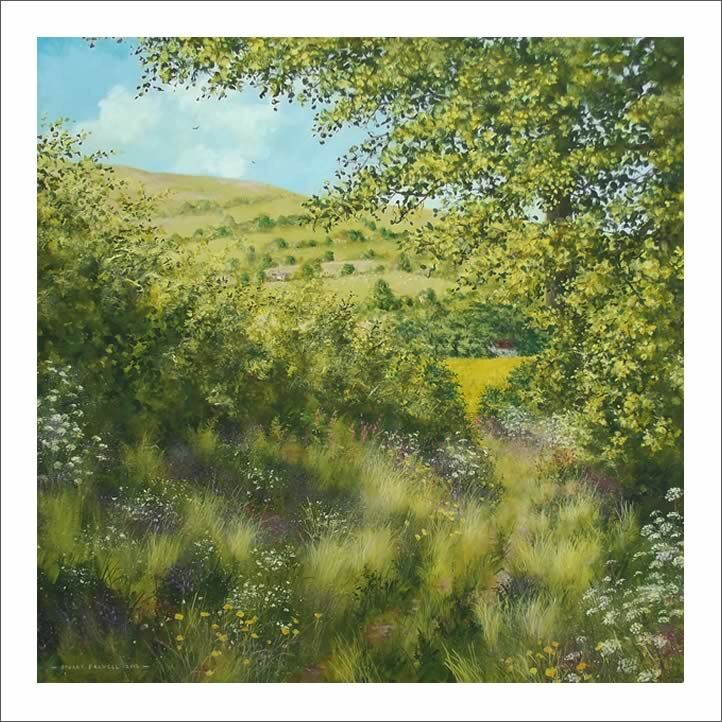 Working from his riverside studio in the heart of the beautiful Tanat Valley, wildlife and natural landscape subjects are immediately at hand to be depicted in his paintings. He paints mainly in Acrylic, Watercolour and Pastel. Stuart’s work attempts much more than objective representation, it is very much a personal interpretation and is intended to delight the eye and lift the spirit. Stuart is also happy to undertake commissions.